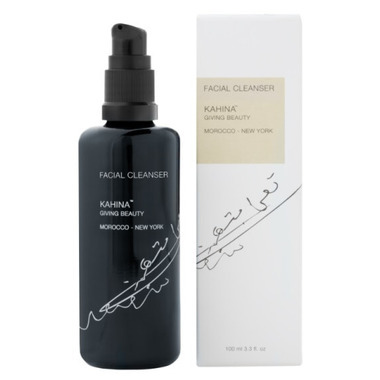 A milky, extra-gentle cleanser based on aloe vera and argan oil. Papaya enzymes brighten while willow bark calms. Botanically-scented with notes of neroli and Moroccan Blue Tansy. Argan Oil dissolves excess oil without leaving your skin tight or dry. Removes light to moderate eye makeup and is safe around the eye area. Usage: Use morning and evening before moisturizing. Apply 2-3 pumps to moist skin in a circular motion. Rinse with water or tissue off, as preferred. †Naturally occurring in essential oils; not an added ingredient. I have been using this cleanser for almost 10 years and always return to it if I try something else. It is not drying, never irritates and cleans perfectly. For makeup removal, I use it as a second cleanse. The company also does incredible work with Berber women in Morocco. So happy to see it at well.ca.